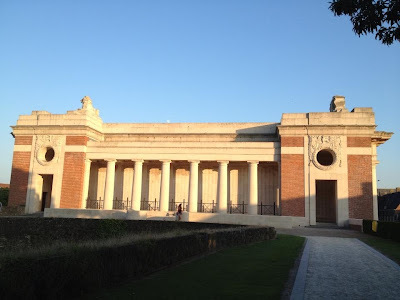 I have been fascinated by the First World War for over 30 years now ever since i read Vera Brittain’s book ‘A Testament of Youth’ which told of her life as a V.A.D nurse in WW1 and how she tragically lost her brother, fiance and many male friends in the conflict. Since getting involved with tracing my family history I have begun searching for any ancestors who could have been involved. A lot of the records have been damaged and lost over time and so out of over 30 possible ancestors i have only found a small handful of records that tell me what happened to them. 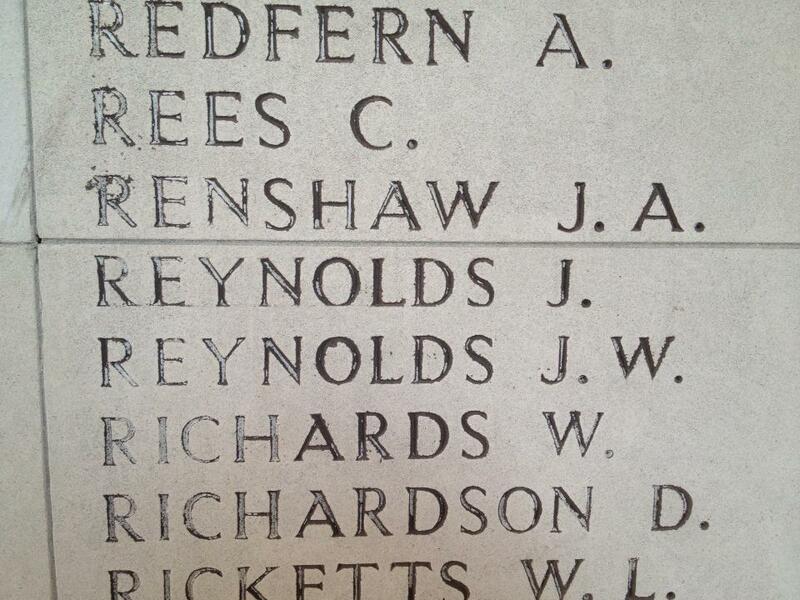 Two of them: James William Reynolds and John Lilley are mentioned on the Menin Gate. My friend Penny recently visited the battlefield cemeteries and kindly took these photos for me. 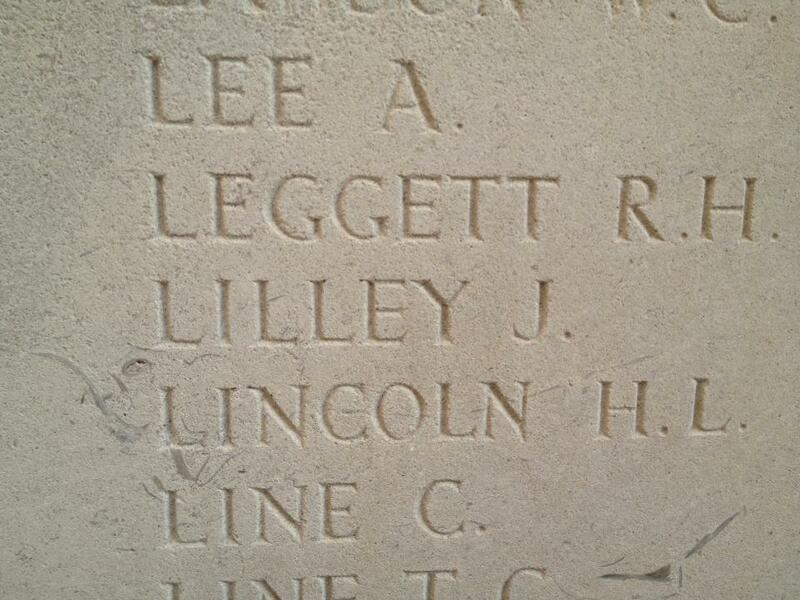 John Lilley was my great grandmother’s nephew. They lived in Bishops Stortford, Herts. He was already a soldier at the outbreak of WW1 having served in Bermuda and Jamaica in 1911. He died at Ypres in 1914. 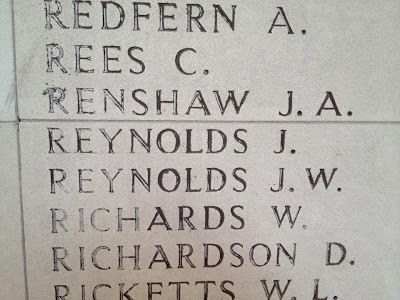 James William Reynolds was the son of my great grandfather, William James Reynolds from his first marriage to Catherine Fielder. They came from Poplar in Middlesex. 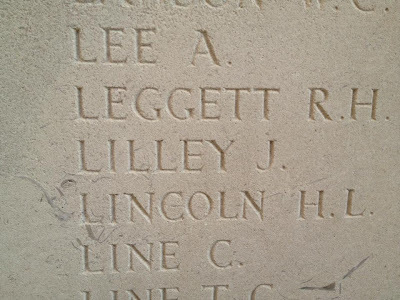 He was just 27 when he died in 1916 and according to records both his brothers fell too though i have failed to find any records for them sadly. Penny also very kindly sent me a lovely package of brochures and postcards from her trip to Belgium. Thank you dear friend. 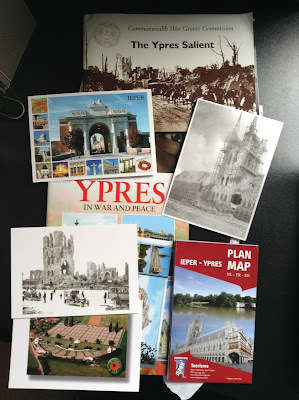 With the 100th anniversary of the outbreak of WW1 beginning in January next year it is going to be a fascinating time.